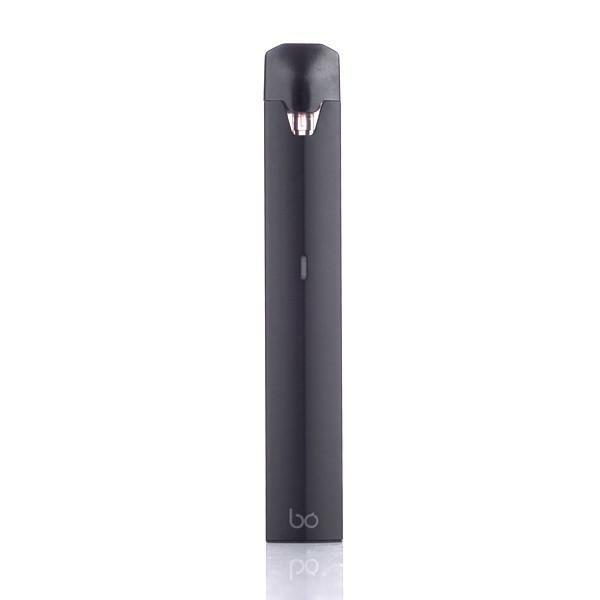 The BO One E-Cig starter kit is a simple yet elegant kit that is designed to bring ease to new vaping enthusiasts. Released not long ago to the market, it has all the desirable features that make vaping a breeze. For starters, this kit is small yet it brings out the best vaping performance at a reasonable price. It is a pod-based MTL cigarette style that provides the best vaping experience. We say it is simple because it is readily used. You just get the kit charged and you are ready to start vaping right away. BO One kit is made of a durable ceramic finish that makes it soft to touch, lightweight and ergonomic. The kit consists of BO One pod vape, a magnetic USB charger and 2 BO flavor pods. Charging is made possible with the BO power charging station ad a micro USB cable it comes with. The BO cable is responsible for passing through of vape. BO caps come in a set of 3 with 4 color ranges to choose from. These are yellow (tobacco-inspired), purple-fruit, blue (gourmand) and green (icy mint). The cartridges have a capacity of 1.5ml and come pre-filled with nicotine salts. Those pods have a semi-transparent casing that allows you great view of how the atomizer works. Pods are placed on the top section of the mod with two magnetic connectors at the base to enable easy charging. The auto-puff technology used in this product is very innovative and practical. It enables perfect on the go vaping experience. Love it. I vape with this product everyday for long sessions and I love it. Battery lasts very long. I bought this vape kit about a month ago and still it is performing just like new. Highly recommended.